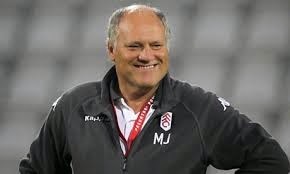 Jol best English based option? Having chosen to sack rather than back Pepe Mel Albion are looking for their third Head Coach in two years. Personally I would have preferred the club to back him but I think the whole project looked doomed after the fall out from the Villa and Crystal Palace defeats saw a player rebellion and the dismissal of McDonough who was instrumental in bringing Mel to the club. It may have been naive for Mel to try to implement his particular style of football with a squad that was singularly ill equipped to deliver it but from the outside it looked like the players were reluctant to give it much of a go. The view from some club insiders was that it wasn't working nor was it going to work and without the intervention of the Senior Pro's and Assistant Head Coach Keith Downing we would have been relegated. I would counter that by pointing out that the same Senior Pro's and coaching staff had put us in that position prior to Clarke's dismissal which might explain why most fans are not completely won over by this argument. All recriminations aside the season is over and we start afresh. The last two appointments were far from resounding successes therefore the pressure is on the club to get it right this time. As ever there is very little information about who the club is actively considering and most names linked with post are no more than pure conjecture. If the lessons from the last two appointments are to be learnt promoting a coach however well respected into their first Head Coach position might be seen as a risk or importing an overseas coach with limited English and a radically different footballing philosophy to that had gone before might also be deemed a little bit too left field. The position is an attractive one by dint of the club being in the Premier league it is one of the top 50 clubs in Europe. While the cull of 10 players from the first team squad presents any coach with the challenge of bedding in an influx of new players at least it gives him the opportunity of influencing shape of the squad they will be working with. One issue seems to dominate Albion's Head Coach searches and that is control. Firstly the club has adopted a continental approach where the Head Coach is responsible for the day to day running of the squad but a Technical Director is responsible for scouting and recruitment. Secondly the club is reluctant to have a complete change of first team coaching staff when the Head Coach is appointed. Both policies deter the traditional British gaffer and this structure might be a stumbling block for some of the names that have been linked with the position Moyes Hughton and MacKay are all keen on having control of all footballing matters. I would however point out that more clubs are implementing management structures that dilute the power once enjoyed by the traditional British gaffer. Moyes' reputation might find a club willing to do things his way but MacKay and Hughton might need to rethink their their opposition to working with a Technical Director if they want to work. In some respects it would easier for the club to appoint a continental coach that has worked with a technical director and is therefore comfortable with the club's structure. However unlike Mel they need to be English speaking and pragmatic enough to realise that the current squad has limitations and if we are to move to a more progressive style of play it will evolve rather than happen overnight. The downside of this is unless the Coach has first hand experience of the English football culture and the intensity of the Premier League they might take a while to find their feet, and on the back of a poor season there is limited scope for any coach to settle in. 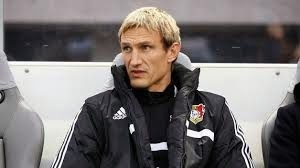 Of the names that have been linked with the club Mauricio Pellegrino and Sami Hyypia having both worked or at least played in England seem to be a decent fit. If Premier League experience is vital whoever is available will have slightly damaged reputations. Of those available Moyes and Jol have the most experience but their last jobs didn't end well. Sherwood who has been linked has a few months of caretaker experience under his belt and very mixed reviews from his time at Spurs. In terms of fit Jol might be the best bet. Moyes might be more desirable but there are a host of reasons why he might not be interested in the job. Overall I do not envy the club's task there is no coach they are likely to appoint that will meet with universal approval and whoever it is they will have their critics from the "wim doomed" brigade regardless of reputation or experience. Whoever is appointed will be operating within the constraints of a mid to lower Premier League club in the most fiercely competitive league in the world it is a tough job just keeping Albion in it, whoever we appoint I wish them well.